Designer’s Description: Hi!. It was long time but Brushesbee is back with boom. 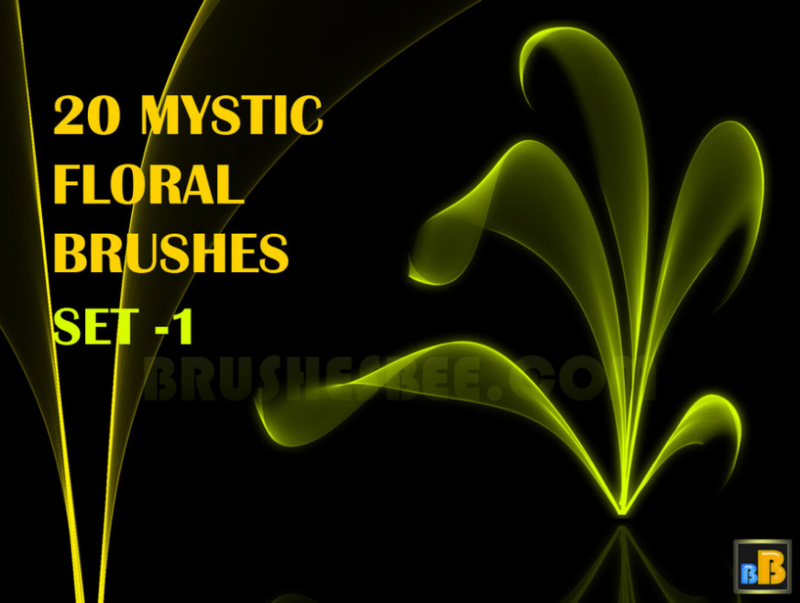 Here is a set of amazing Mystic Floral Brushes, which are amazingly sharper and crisper. They have good resolution of up to 1200px. Created with Phostoshop CS2. – You are Free to use it for commercial as well as Personal Use, The only thing I ask is that you credit me. – You may post my brushes on your website provided you Credit me and link the user to my Website Let me know if they were useful to you. Have FUN!